I do not exaggerate when I say there hasn’t been a film like Roma in almost seventy years. Not since the days of Orson Welles and Yasujirō Ozu has there been a film as rich, alive, subtle, grandiose, and honest as what Alfonso Cuarón has accomplished. It’s a stunning work of the littlest and grandest of details, of rich themes told in the most modest of ways; it’s an intimate self-portrait that is unselfish and unflattering in its execution, and that tells a story with the clarity and surrounding details of Charles Dickens and Victor Hugo. It’ll stick with you long after viewing, and will slowly grow as you take the time to unpack its vastness. In short, Roma is art. Cleo Gutiérrez (Yalitza Aparicio) is a maid and a nanny for the upper-middle-class household of Antonio (Fernando Grediaga), a doctor, and Sofia (Marina de Tavira) in a suburb in Mexico. She splits her time cleaning the house, caring for the four children, and going out with her friends, including her handsome young boyfriend Fermín (Jorge Antonio Guerrero). The film follows Cleo and the family over the tumultuous period of 1970-1971, as political upheavals shake the country, personal hardships shake the household, and Cleo discovers that she is pregnant. 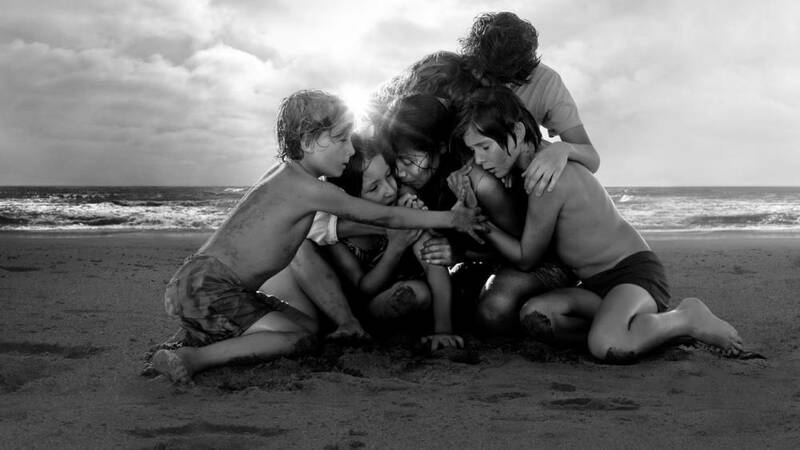 What’s incredible about Roma is the sheer depth of its storytelling while slyly avoiding turning it into a message movie. Much like Charles Dickens disguised A Tale of Two Cities as an epic love story and Frank Capra disguised his critique/appraisal of 1940s America in a series of upbeat dramedies, so too has Cuarón woven in issues of class, family, indoctrination, political upheaval, and the loss of innocence into a story that, at the end of the day, never leaves the inner workings of one house and one family. Occasionally, you hear at the dinner table about some poor child being shot in the streets by the military, or of a student protest that is being organized, or of some distant land grab by the Mexican government, but it very rarely has a direct effect on the family themselves. You know that important things are happening, but it is only a part of the tapestry when Cleo wills it to be. No, instead Cuarón corrals these themes inside the daily activities of Cleo and mother Sofia, in a way that keeps his messages and ideas ever-present, but never overwhelming. The most important of these themes, undeniably, is class, and its effects on the family dynamic. Cuarón is interested in exploring the class relations, the power dynamics, and the question of equality existing inside the system, be it in 1970 or now. He makes this clear early on with some obvious metaphors – there’s a juxtaposition between an “upper-class” and “lower-class” party involving walking down a flight of stairs, an analogy that has been put to good use in Titanic and Downton Abbey. However, it goes beyond just the usual representations of class – there’s several layers being explored all at once. For one, there’s the unspoken commentary of Cleo’s race – while the family is clearly of Spanish heritage, Cleo is Mixtec, indigenous to the continent and therefore seen as lesser in Mexican society. There’s also the repeated motif of water, which represents Cleo’s place in society. Just as water if always seen as the intermediary between the earth and the sky, never fitting into either plane of existence (the very first shot is of water cast across linoleum, placing the sky on display), Cleo is the intermediary between worlds; she’s a part of the family, but not quite. Each character expresses their love for her, whether in words or in actions (like buying the best crib possible for her unborn child), but they can never see her as more than a servant. “Thanks for saving my life, Cleo. Can you get me an ice cream sandwich?” It is this divide that makes it so ironic, and yet so poignant when a drunk Sofia tells her that, “We are alone. No matter what they tell you, we women are always alone.” While Sofia means well, and offers her warning as a sign of camaraderie between two women f*cked over by assh*lish men, the irony is that they never really will be a “we” – they will always have that divide between them. And the class divide isn’t only prevalent inside the immediate family. A large portion of the film takes place at a cousin’s estate, which strikes a divide between even the middle class family’s wealth and that of the land-owning rich. While few characters in the film are portrayed as reprehensible, the image of the richer, snobbier, more obnoxious cousins, indifferent to government land-grabs and murders happening in the area and living in a house adorned with the heads of their deceased dogs, draws a contrast to even that of Sofia and Antonio, the latter of whom buys a too-big car in the hopes of fitting in. And speaking of the car, Cuarón isn’t afraid to explore his themes with a bit of humor. There’s a great running joke in he film involving the father parking the family car and the mother. When we first meet the father, he spends almost five minutes meticulously fitting the vehicle into their too-small garage, perfectly maneuvering it to avoid dog sh*t and prevent scratches. After Antonio disappears from the film, we see Sofia drive – and she is obscenely reckless, crashing and destroying it at all costs. This, of course, works on a joke level – she’s a bad driver, ha ha – but it works so much better as you peel away the layers. There’s Sofia’s quest for revenge on the man who left her, the critique of Antonio as a materialist who treats items better than he treats his loved ones, and there’s the fact that the car is too big for their space, criticizing Antonio’s desire to become a part of the wealthy ruling class. All of this from a little joke about a car. Of course, the film dives into more than just class. As the film takes place in Mexico, 1970-1971, there is also an exploration of politics and history. However, Roma refuses to explore these ideas in the traditional way, and it overwhelmingly refuses to do it in the ham-fisted way of other films, from the average Vice to even the excellent The Shape of Water (made by Cuarón’s friend and contemporary Guillermo del Toro). A quick history lesson: in 1970, Mexico elected Luis Echeverría Álvarez president, considered a major boon for the nation. Elected on the backs of student protests and on the promise of reforms to a broken education and economic system, Álvarez soon reneged on the promises, prompting more uprisings amongst the students of the nation. In retaliation, Álvarez began training groups of young, idealistically patriotic men to infiltrate and quash the protesters. These actions resulted in the June 10th Corpus Christi Massacre, when the paramilitary group, Los Halcones, murdered 120 men, women, and children with bamboo rods and guns as the Mexican army stood idly by. Cuarón carefully explores and dutifully demonstrates all of this, but not in the usual over-the-top method you might expect in a Hollywood film, like those directed by Oliver Stone. Instead, Cuarón slowly lets this story play out in front of us in the form of Cleo’s beau, Fermín. When we first meet Fermín, we are shown that he has a love of martial arts, and that he has been trained to fight and protect himself with a rod. As the film goes on, we see more and more of his “training,” and we slowly see large groups of twentysomethings becoming indoctrinated into a paramilitary organization. By letting this story play out subtly and quietly, it allows the eventual gut-punch – a stunning recreation of the massacre filled with twists, turns, and a meticulous one-shot (more on that in a minute) – to feel deeper, realer, and sharper than if the film had obnoxiously shoehorned in an important moment in modern history. The film even makes note of the fact that Álvarez had backing and training from Richard Nixon and the CIA (revealed later in Freedom of Information documents) in order to crush the rebellions, as a half-second shot and a throwaway line reveal a strange American overseeing the training and effective brainwashing of Los Halcones. That’s right, the film deals with major political scandal and history in a shot lasting .00006 of the film’s runtime. However, in spite of all this, the political and class upheaval, Cleo remains stoic and centered through it all. For her place in the world, that existence in the in-between mentioned above, allows her to find true grace. My favorite moment in the film comes at the martial arts camp, when Cleo watches television personality Professor Zovek teach the trainees that the hardest action in the world is to find “true balance” by closing ones eyes and lifting their legs. All of Los Halcones fail to achieve this balance, as do the wives and girlfriends watching. Only Cleo manages to succeed, without even trying, and without even caring, because that is who she is – she’s a woman who does not worry about her placement in class, or in politics, or in any of the nightmares of everyday life. She gets by with grace, transcending two worlds and being the best person she can be. All of this is clearly and beautifully laid out by Cuarón, and yet he never has to overtly state it – it exists only in subtext, like a fog lifting to reveal a beautiful sunset. Meanwhile, it’s not just the thematic material that makes this film a true stunner – in terms of sheer technicality, Cuarón has made a film unrivaled by any others in modern history. Every frame is rich in detail, be it narratively, metaphorically, or literally. Because this is a Cuarón film, you can bet there are multiple long shots, but it’s still pretty breathtaking to see him pull it off, whether it’s the riot, the birth of Cleo’s daughter, the car parking sequence, a morning run through the city, a forest fire, or a climactic disaster on the beach (which was famously done in one take). However, it’s not just the long takes that make this film so special – there’s something inherently remarkable about this cinematography that stands tall with the remarkable, vital works of Gregg Toland. The vivid use of black and white reflects the sense of memory permeating the film, but it goes beyond that, drawing from and giving new life to that famous Orson Welles/Peter Bogdanovich quote, “You can’t shoot faces in color the same way you can in black and white.” When the camera lingers on Aparicio’s face, or finds the love and passion in the eyes of a idealistic young man, or captures the anguish on a dying man’s face, every emotion stands out, crisp and clear. And while we’re discussing Welles’ use of cinematography, let’s talk about Roma’s revival of deep focus. Like Welles and Toland, Roma keeps us constantly searching the frame, discovering new details with each viewing and always keeping us guessing at what exactly we should be focused on. Like the legends of old, the deep focus here mimics the many layers of life – while the story rarely expands beyond the borders of the house and the eight people who inhabit it, the deep focus forces us to look deeper, and to notice the dynamics going on both inside the family and out in the world around them. We see that Cleo is incredibly beloved by the family while simultaneously never forgotten as Other; we see small details on the street that would be but a passing moment to others but convey deep meaning to both the characters and the viewer, and so on. Perhaps the most important example of this type of filmmaking comes during a sequence where a character discusses a fraught family situation while a wedding takes place in the background. It is this level of detail that Roma draws from films like Citizen Kane and Tokyo Story, and it is made all the more impressive by Cuarón’s decision to forego his usual cinematographer and shoot the film himself (Cuarón also participated in editing the film). Of course, it makes sense that Cuarón had a hand in every aspect of the filmmaking – this film is so personal, he needed to be as hands-on as possible. And quite frankly, that’s a good thing: the fact that there are so many little overly-specific details permeating the film that it truly feels like a slice of life. It’s not easy to make moments as crazy and as random as naked karate, random and excessively violent fights among family, and a singing Krampus (I assume that’s what he’s supposed to be) illuminated by a forest fire feel natural and slice-of-life – and greater men than Cuarón have tried. However, due to his deft hand as a director, writer, and cinematographer, the scenes feel completely natural and totally honest. In fact, they may be more honest than even Cuarón may want to admit – by utilizing images of childbirth, water, space, beaches, and more, the film clearly draws from the auteur’s previous works, implying that these events early in life help shape you into the person you become. This is a film that works as a visual feast, a metaphorical lesson, and a straightforward story, and like the best films of old, it keeps you guessing when you’re going to be sucked in right up until the point you realize you were invested from the very beginning. When it comes to the acting, Roma delivers a world-class lesson on minimalistic, natural performances. At the center of it all is Aparicio, a twenty four-year-old teacher making one of the most stunning debuts as an actor since Gabourey Sidibe in Precious, and perhaps even since Harold Russell in 1946. Aparicio has a naturally reactive face, allowing the story to unfold naturally and letting the revelations wash over her quietly and collectively. Her love and her heart carry the film, and they are expressed in the rare instances where she is allowed to express emotion. If you are just starting out as an actor, I would study what Aparicio does during the Hospital scene – it’s truly striking. Meanwhile, de Tavira is a marvel in and of herself. While she certainly is allowed to demonstrate emotions more outwardly than Aparicio, de Tavira also has to constantly hide things – as her life falls apart and her emotions are wrought and abused, she must keep a straight face for the rest of the world – for her children, for her employees, and for those in her social circles. Having to be both outwardly and inwardly emotional is a difficult act to balance, and she does it with absolute grace. And before exploring any other performances, I want to give a quick shout out to Verónica García as Teresa, the children’s grandmother and Sofía’s mother, who imbibes a seemingly small role with loads of gravitas, humor, and naturalism – she not just feels like a grandmother, she feels like she could be your grandmother. The children are surprisingly and smartly interchangeable – I couldn’t tell you a single thing about any of the kids, with the exception of one or two small facts about Paco, Sofi and Pepe (sorry Toño), but that’s kind of the point. They aren’t supposed to be the focus, we’re meant to see the women who raised them to become upstanding human beings. I suppose Carlos Peralta, Diego Cortina Autrey, Daniel Demesa, and Marco Graf do an admirable job, just know that they’re not shaking the child actor game with these performances, and they’re not trying to. 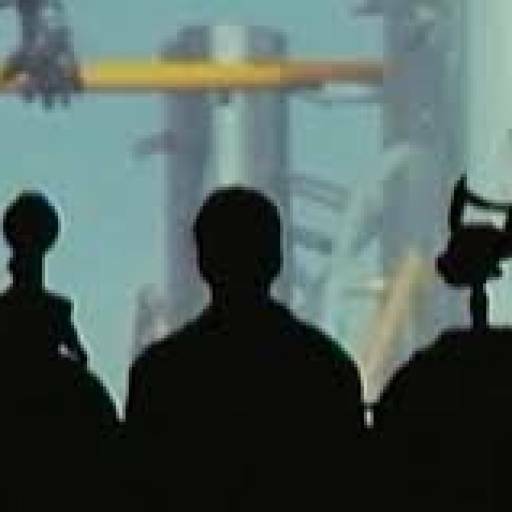 Meanwhile, Guerrero and Grediaga give appropriately sleazy performances filled with humor, obnoxiousness, and on occasion, menace (sticking with the first of the three, one of my favorite moments involves Grediaga in his final scene in the film, inside a hospital elevator. I won’t spoil it here). And finally, I want to shout out The Latin Lover as Professor Zovek. It’s a weird, toned-down performance that’s hilarious, emotional, and only a dash terrifying (at least in its end result). Roma is a film that tricks you into feeling. You’re so busy wondering what each detail means, and why Cuarón chose each shot, you don’t realize that you’ve begun to care for the characters, and you worry about what will happen to them. It’s the perfect blend of emotion and artistic expression, reaching for heights that haven’t been achieved a long time – perhaps only matched by Moonlight in the past three decades. If you can, do try to see Roma on the big screen, without the distractions of modern-day society to drag you down. But if you have the opportunity to watch it on Netflix, do not hesitate: show Netflix that investing in art is worthwhile, and watch an achievement unlike any other this year.